NASA astronauts on board the International Space Station on Friday reaped the first harvest of red romaine lettuce leaves grown on the orbiting space lab last month. These vegetables were grown using the "Veggie" plant growth system on the ISS, and were harvested as part of a technique the space agency calls "cut-and-come-again." "Cut-and-come-again is a repetitive harvest technique in which a selection of leaves can be harvested for a bit of fresh lettuce and possibly science samples," NASA explained in a statement. "The remaining leaves and the core of the plant are left intact and will continue to grow and produce more leaves for subsequent harvests approximately every 10 days." The goal of this technique is to improve the yield of crops being grown in the micro-gravity environment of space, where plant roots grow every which way, making it excruciatingly difficult for them to absorb the nutrients and water they need to survive. NASA expects a total of four harvests of red romaine lettuce using this technique. The yields from these harvests will be split between samples for science return and crew consumption. 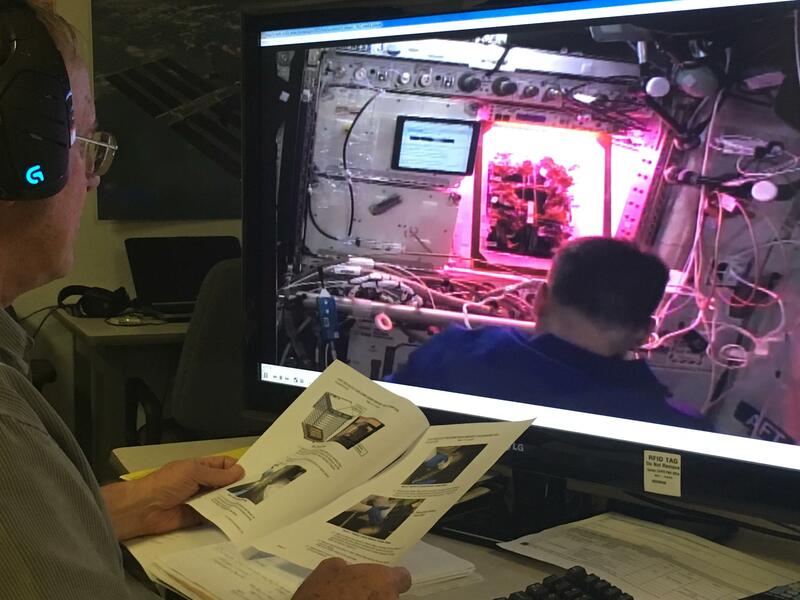 "Testing this method on-orbit, after using it on the ground, is very exciting for us," Veggie Project Manager Nicole Dufour said in the statement. "A repetitive harvest allows us to provide more food for both the crew and for science, so it’s a win-win." Plants were grown in space for the first time in August last year, when ISS astronauts used the Veggie system — installed in 2014 — to stimulate plant growth from "pillows" containing seeds, fertilizers and nutrients. Just over a year after that accomplishment, which NASA described as a "historic vegetable moment," scientists at the Kennedy Space Center in Florida began testing a prototype of its largest plant chamber — the Advanced Plant Habitat (APH). The actual habitat, which will arrive at the Kennedy Space Center in Florida in the coming months, will be delivered to the ISS sometime in 2017. 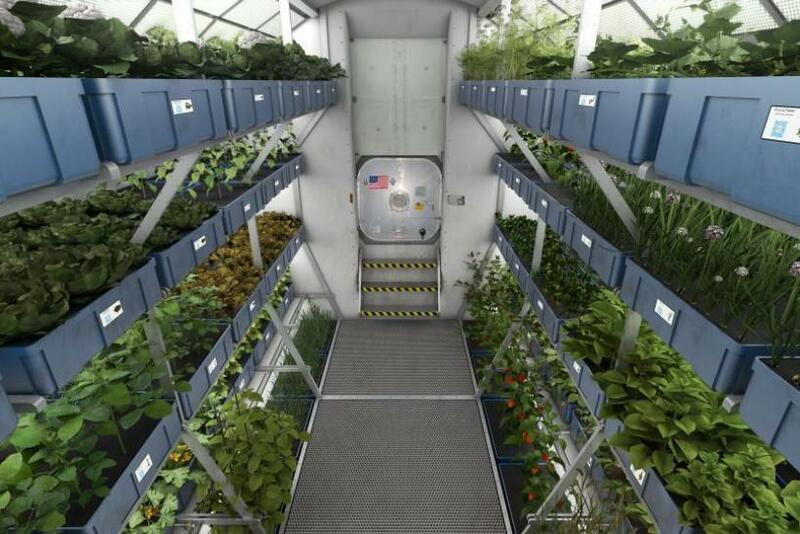 Scientists believe growing food will be a critical aspect of future long-duration space trips, including NASA’s planned crewed missions to Mars — not just because of the nutritional benefits fresh vegetables provide, but also because of the psychological boost it would give astronauts who would otherwise have to rely on packaged goods. "The farther and longer humans go away from Earth, the greater the need to be able to grow plants for food, atmosphere recycling and psychological benefits," Gioia Massa, NASA’s payload scientist for the Veggie project at the Kennedy Space Center, said in an earlier statement. "I think that plant systems will become important components of any long-duration exploration scenario."